Third grader today, astrophysicist tomorrow! Let your child research the planet of his choice, discovering everything from the number of moons to the planet temperature. Never heard of the planet Pirjute? That's because it's Jupiter, with mixed-up letters! 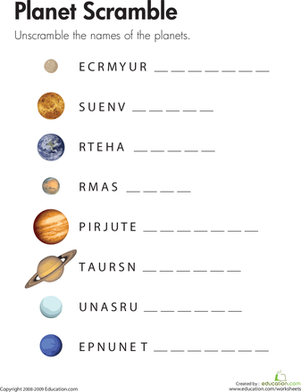 Kids unscramble planet names on this year four science worksheet. 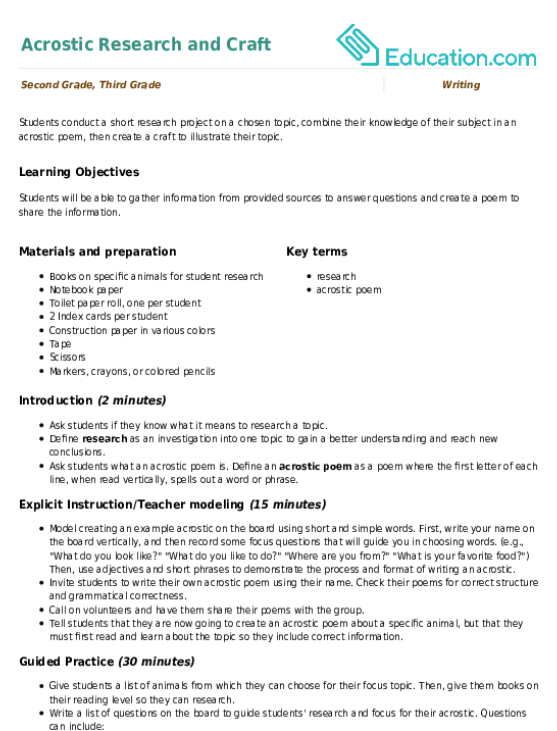 Kids love answering that question, and with this animal research graphic organizer, they can write all about it. 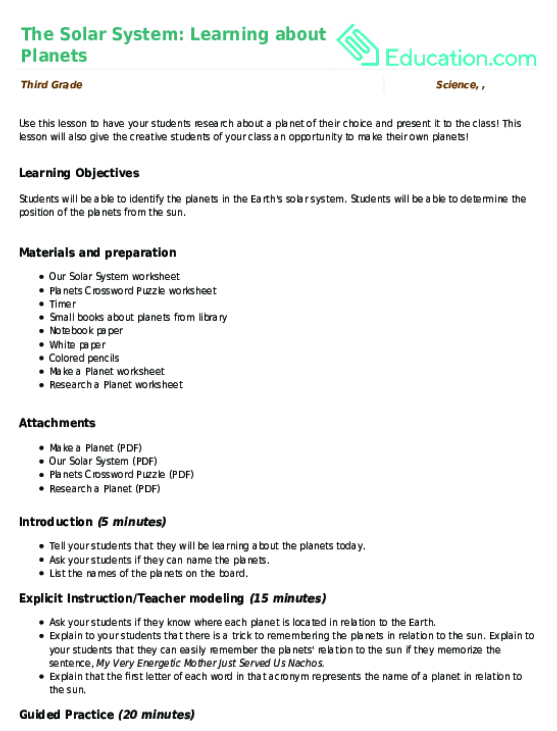 Use this lesson to have your students research about a planet of their choice and present it to the class! Use this lesson to inspire them to research a topic they are interested in. Students will use a graphic organizer to take notes on various sources and present their information to their peers.